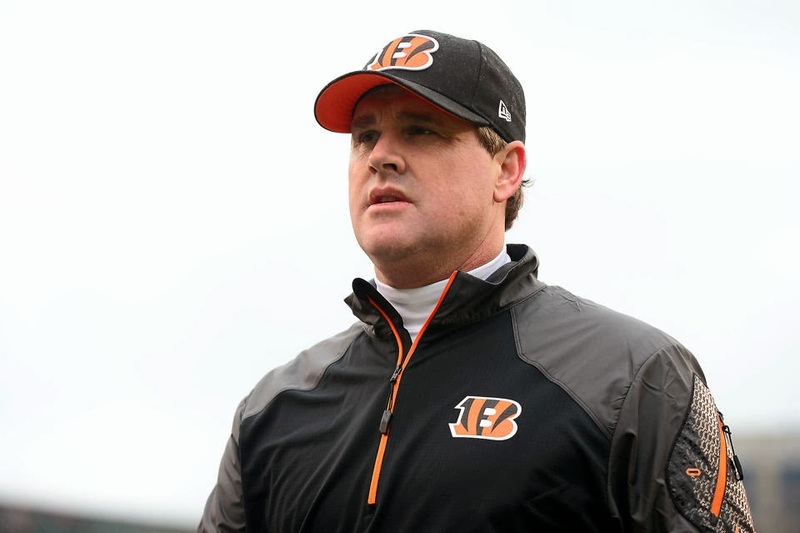 The third vacancy of NFL head coaching positions has been filled as Washington has hired Jay Gruden, the offensive coordinator of the Cincinnati Bengals, to become their new head coach to replace the fired Mike Shanahan. Gruden, who has been Cincinnati's playcaller for the last three seasons, becomes the first former Arena Football League and United Football League coach to become a head guy in the NFL. Can Gruden be the first consistent winner for the club since Joe Gibbs retired the first time in 1992? Here's my analysis. The views on Gruden's tenure in Cincinnati are mixed. Some will point to the team's offensive rankings during his three years as offensive coordinator, which were 20th, 22nd and 10th. Gruden has gotten criticism for an offense that had the reputation of underachieving, even as more and more resources were dedicated to that side of the ball as the talent level grew. He also saw criticism for his playcalling in the team's disappointing loss to the Chargers on Sunday in the AFC Wild Card, criticism which I feel was and is deserved. However, some could argue that he made the most of quarterback Andy Dalton, despite his clear limitations, helped him improve every year and to lead an offense good to enough to get to the playoffs three straight years, something the franchise had never done before. All in all, I think Gruden is a good coach and a good offensive mind, but not a great one. I think he is a good fit in Landover, but not a great one. And I while I think he could very well find success, I also think that the inherent issues with the franchise are not going away anytime soon. Those inherent issues begin at the doorstop of owner Daniel Snyder, who has shown himself in the 15 years of ownership of the team to be little more than incompetent and little more than a joke. The issues with Snyder have been well-publicized and need no further explanation, but the serious problem with the franchise has been how he treats quarterback Robert Griffin, III, who suffered through a disappointing 2013 campaign after making a bad decision to rush back from injuries to both his ACL and LCL in his right knee. The relationship between Snyder and Griffin has gone much beyond that of a traditional owner-player relationship and rather that of an adoring fan doing whatever he can to keep his guy happy. Snyder's relationship with his quarterback has seen said quarterback uncork a major ego that led to poor relations with his receivers due to blaming others but never himself, and bragging that he held enough sway over Snyder to "procure favors...and influence the franchise's direction," according to a damning report by the Washington Post. That said about Griffin, he is still a supremely talented player that may just take the league by storm once he tunes up his dropback passing game and while Gruden may appear like an awkward fit due to the type of offense he ran in Cincinnati, he did show adaptability in designing it to take advantage of Dalton's strengths. It does not hurt that he does have a long-standing relationship with general manager Bruce Allen and while Snyder is a character in his own right, Gruden is coming from an owner that is known to be extremely meddlesome and thinking he is more knowledgable than he really is (H/T to Doug Farrar on that one). However, I do question Gruden retaining Jim Haslett as his defensive coordinator considering how porous his unit was in 2013, even as Gruden and Haslett working together on the staff of the Florida Tuskers in the UFL. I think this is a fine hire for an embattled franchise that has been all over the place over the past 20 years, although Gruden will have a solid hill to climb to make his team a consistent winner. Yawn. Just post the broadcasters, schedules, and maps for games. Nobody cares about your analysis of hires for teams, especially one where you are being sanctimonious over the team's nickname. You had no problem using Redskins until other media decided it was the "it" thing to stop using it in the Fall. Btw, that story's lost a lot of steam hasn't it? And I'm sure you'll edit that word out if you even post this. But you don't have the balls to because you don't take criticism well. Good luck if this is your profession in the future. You won't last long if you can't take some heat.